There are some genuinely lovely pieces going on in Asda at the moment. If you're anything like me you'll find yourself a little bored with George at Asda all year 'round apart from summer. Summer is a completely different matter. Their designs get a lot more 'me' and I just can't help myself! 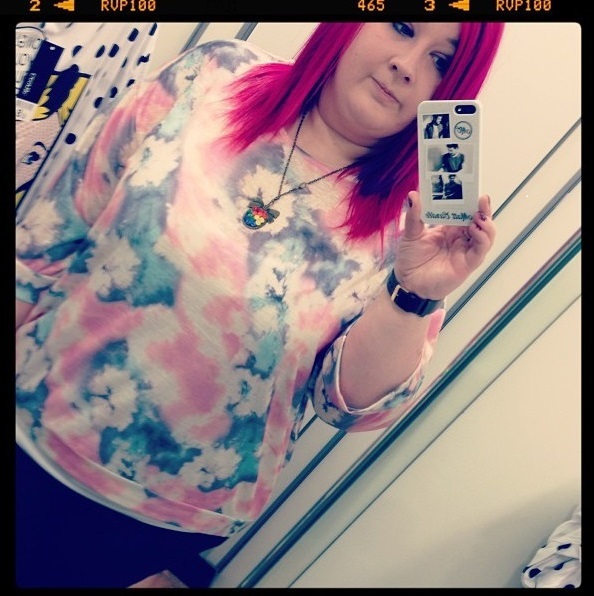 I couldn't resist this tie dye thin jumper. It's quite baggy and hangs lovely. £10. 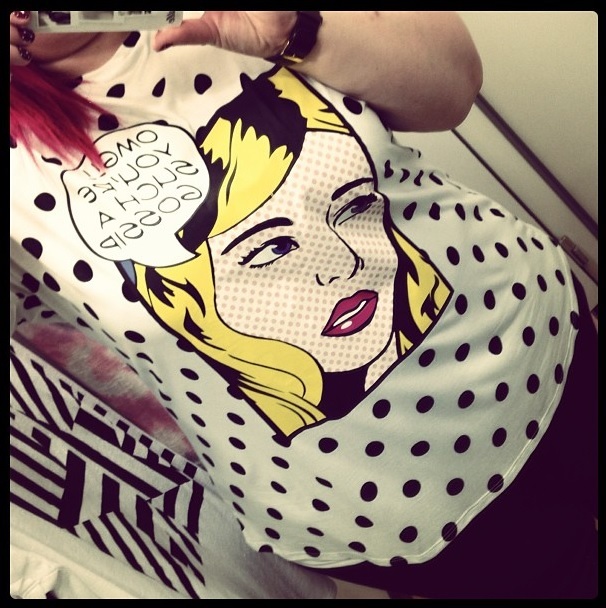 Here is a lovely Pop Art inspired polka dot t-shirt. It was a snap at £8! I just genuinely wished that Asda's G21 range would go up to the same size as all of Asda's other clothes. It's such a shame as I'd buy pretty much the whole range. Just because we're plus size doesn't mean we all dress dowdy and bland!